We just learned about the Portals at Reims Cathedral. 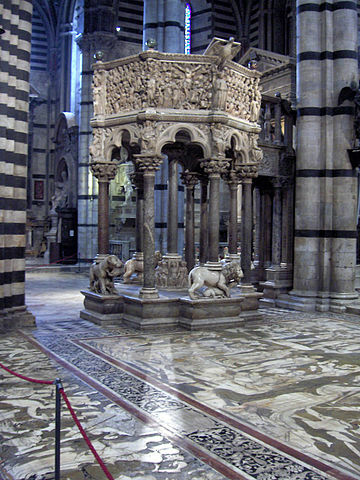 Another gothic art sculpture is the Siena Cathedral Pulpit. This pulpit was carved by a famous artist named Nicola Pisano. It tells seven different stories, one on each face of the pulpit. All the stories are about the life of Christ, from his birth to death and the last judgement.